Energy Fiji Limited will be carrying out repair works at the Cunningham Road Zone Substation and other Transmission Network Maintenance next Sunday. 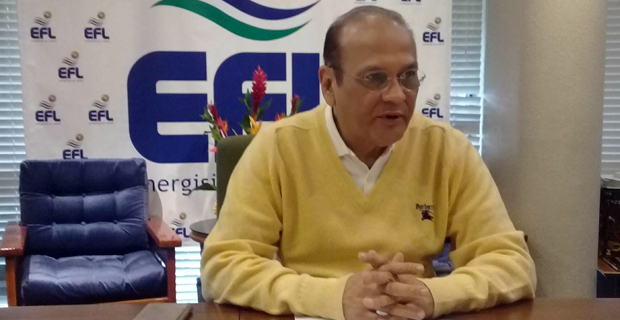 EFL Chief Executive Officer Hasmukh Patel says that the replacement of the new 132kV/33kV Transformer at the Cunningham Road Zone Substation that was scheduled to be undertaken this Sunday will now move to next Sunday. Patel says in order to carry out the transformer installation, EFL Engineers need to de‑energise the 132,000 volts transmission line from the Wailoa Power Station to the Cunningham Road 132kV Zone Substation in Suva from 3am to 8pm next Sunday. He says during this outage, EFL will also carry out repair and maintenance works on three steel towers along the transmission line from the Wailoa Power Station to Cunningham Road Substation. Patel says during this period also, EFL will rely solely on its Diesel Power Stations at Korovou, Kinoya, Rokobili and Deuba to supply electricity to the Central Division from Matanipusi in Serua to Balekinaga, Tailevu including areas of Deuba, Navua, Suva, Nausori and Korovou. He says the available diesel generation capacity in the Central Division is sufficient to meet the power demand of all the Central Division during this period. Patel says that this also applies weather permitting. He says Maintenance works are planned to be carried out on a Sunday due to the low electricity demand on this day, allowing them to maintain electricity supply to in the Central Division of Viti Levu.